This Agreement provides the general terms and conditions (the “General Terms and Conditions”) applicable to all services (the “Services”) offered by krasovetz consulting, LLC, (krasovetz consulting) to you through its Web sites located at krasovetzconsulting.com, (the “Site”). THESE GENERAL TERMS AND CONDITIONS ARE SUPPLEMENTED BY AND SHOULD BE READ IN CONJUNCTION WITH THE SPECIFIC TERMS AND CONDITIONS APPLICABLE TO SUCH SERVICES. By using any Service, you agree to these General Terms and Conditions as well as the specific terms and conditions applicable to the Service(s) you are using. The term “Agreement” means these General Terms and Conditions plus all other applicable terms and conditions. krasovetz consulting reserves the right in its sole discretion and without notice to amend or modify any of its terms and conditions under which any Service is being offered to you. Services are intended for your business use only. Access to and use of any Service is through a combination of a user name and password. krasovetz consulting authorizes you to view a single copy of the material on the Site solely for your use or use by authorized additional recipients. Materials from the Site are intended for the exclusive use by you at the location(s) specified in your subscription. You agree that such access will not be shared with others. You may not access any Service using the name or password of any other party. Unauthorized access to any Service, or to the telecommunications or computer facilities used to deliver such Service, is a material breach of this Agreement and may be a violation of law. You assume all responsibility for any claim, demand or damage resulting from another party obtaining your password. You shall not attempt to modify, decompile, reverse engineer or otherwise attempt to gain access to any technology or source code underlying any Service. By using any Service you represent and warrant that you are (a) authorized to form legally binding contracts under applicable law and that the information you provide is accurate, current and complete and (b) not a minor. We reserve the right at our sole discretion to refuse any Service to anyone at any time. 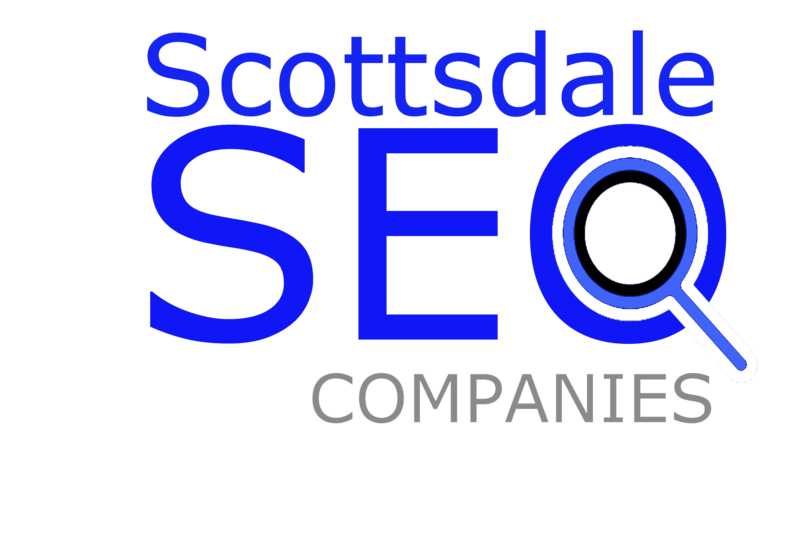 The Site contains links to third party web sites. These links are provided solely as a convenience to you and not as an endorsement by krasovetz consulting of the contents on such third party web sites. krasovetz consulting is not responsible for the contents of any third party site and does not make any representations regarding the content or accuracy of materials on such third party web sites. If you decide to access linked third party web sites, you do so at your own risk. krasovetz consulting is merely a venue for you to participate in the use of the Services. The Site acts as a venue for submitting bids, participating in webinars and finding business leads and does not screen or censor the listings offered. krasovetz consulting does not guarantee the quality, legality, truth or accuracy of the listings and/or Services. krasovetz consulting disclaims any responsibility for system downtime which may affect the timely submissions of electronic bids. You agree to accept periodic facsimile and email notices from us explaining our new Services. You assume all risks associated with dealing with other users with whom you come in contact through the Site. Because user authentication on the Internet is difficult, krasovetz consulting cannot and does not confirm that each user is who they claim to be. In the event that you have a dispute with another user, you hereby release krasovetz consulting, its subsidiaries, affiliates, directors, officers, employees and agents from and against any and all claims, demands and damages (actual and consequential) of every kind and nature, known and unknown, suspected and unsuspected, disclosed and undisclosed, arising out of or in any way connected with such disputes. If you are a California resident, you waive California Civil Code § 1542, which states, “A general release does not extend to claims which the creditor does not know or suspect to exist in his favor at the time of executing the release, which if known by him must have materially affected his settlement with the debtor.” You agree to indemnify and hold krasovetz consulting and its subsidiaries, affiliates, officers, directors, agents, and employees, harmless from any claim or demand, including reasonable attorneys’ fees, made by any third party due to or arising out of your breach of this Agreement or the documents incorporated by reference, or your violation of any law or the rights of a third party. We do not control the information provided by other users which is made available through our Site. You may find other user’s information to be offensive, harmful, inaccurate or deceptive. Please use caution, common sense, and practice safe trading when using our Site. Please note that there are also risks of dealing with foreign nationals, underage persons or people acting under false pretences. krasovetz consulting reserves the right, for any reason, in its sole discretion, to terminate, change or suspend any aspect of any Service or the Site, including, but not limited to, content, features or hours of availability. krasovetz consulting may impose limits on certain features of any Service or the Site or restrict your access to part or all of any Service or the Site without notice or liability. (J) create liability for krasovetz consulting or cause krasovetz consulting to lose (in whole or in part) the services of krasovetz consulting’ ISPs or other suppliers. krasovetz consulting reserves the right, in its sole discretion, to amend, edit, remove or otherwise block any material posted by you which may violate any state, federal or local law or violate any aspect of this Agreement, or which krasovetz consulting, in its sole discretion, deems unlawful, obscene, derogatory, abusive, threatening, discriminatory with respect to race or gender, or otherwise disagreeable. However, krasovetz consulting does not assume responsibility for reviewing or verifying the material, content and information on its Site and is not responsible for any damages, losses, expenses or other injuries incurred by you or any other user as a result of relying on any material, content and information posted on the Site. You understand that krasovetz consulting shall take commercially reasonable efforts to make its Site and Service available. However, krasovetz consulting is not responsible for any damages or losses related to any system errors or interruptions affecting its Site or any Service and the processing of any transaction related to any Service. You understand that the Site or Service may be unavailable unexpectedly as a result of circumstances beyond krasovetz consulting’ control. In the event of a dispute between users of the Service in connection with a transaction, all users agree to cooperate with krasovetz consulting’ customer service department to resolve the dispute. 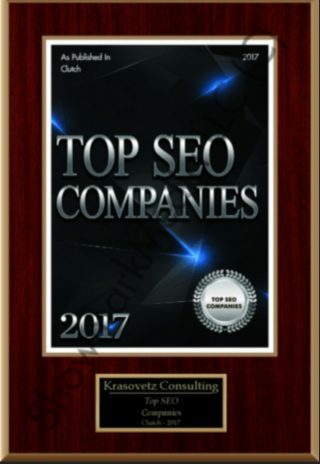 If krasovetz consulting cannot resolve the dispute within a reasonable time (as determined in the sole discretion of krasovetz consulting), each user agrees to submit their dispute to third-party conflict resolution or mediation services. krasovetz consulting may provide recommendations for such third-party conflict resolution and mediation services. krasovetz consulting disclaims all liability with respect to conflicts between users, krasovetz consulting’ dispute resolution services and the conflict resolution and mediation services of any third party. The relationship between you and krasovetz consulting is that of an independent contractor. No agency, partnership, joint venture or franchise relationship is implied, intended or created by the terms and conditions of this Agreement or the use of the Site by you. The terms and conditions of this Agreement constitute a binding agreement between krasovetz consulting and you until terminated by you or krasovetz consulting. krasovetz consulting may at any time, in its sole discretion, terminate your user account and access to the Site and any Service. krasovetz consulting PROVIDES THE SITE AND SERVICES “AS IS” AND DISCLAIMS ALL WARRANTIES OF ANY KIND. krasovetz consulting, TO THE FULLEST EXTENT PERMITTED BY LAW, DISCLAIMS ALL WARRANTIES, WHETHER EXPRESS OR IMPLIED, INCLUDING WARRANTY OF MERCHANTABILITY, FITNESS FOR PARTICULAR PURPOSE AND NON-INFRINGEMENT. krasovetz consulting MAKES NO WARRANTIES ABOUT ACCURACY, RELIABILITY, COMPLETENESS, OR TIMELINESS OF THE SITE, CONTENT MATERIALS ON THE SITE, SERVICES, LISTINGS, LINKS, AND TEXT. NO ADVICE, INSTRUCTIONS OR INFORMATION RECEIVED BY A USER, WHETHER ORALLY OR IN WRITING, FROM krasovetz consulting SHALL CREATE ANY IMPLIED WARRANTY. USERS ARE INSTRUCTED TO USE THE SITE AND ALL SERVICES AT THEIR OWN RISK. krasovetz consulting does not and cannot control the flow of data to or from its Site and other portions of the Internet. At times, your connection to the Internet may be impaired or disrupted. Although krasovetz consulting will use commercially reasonable efforts to avoid such an event, krasovetz consulting cannot guarantee that it will not occur and disclaims any and all liability resulting from or related to such an event. IN NO EVENT SHALL krasovetz consulting OR krasovetz consulting’ SUPPLIERS BE LIABLE FOR LOST PROFITS OR ANY SPECIAL, INCIDENTAL OR CONSEQUENTIAL DAMAGES ARISING OUT OF OR IN CONNECTION WITH ANY SERVICE, THE SITE OR THIS AGREEMENT (HOWEVER ARISING, INCLUDING NEGLIGENCE). krasovetz consulting’ LIABILITY, AND THE LIABILITY OF krasovetz consulting’ SUPPLIERS, TO YOU OR ANY THIRD PARTIES IN ANY CIRCUMSTANCE IS LIMITED TO THE GREATER OF (A) THE AMOUNT OF FEES YOU PAY krasovetz consultingIN THE TWELVE (12) MONTHS PRIOR TO THE ACTION GIVING RISE TO THE LIABILITY OR (B) $100. Any controversy or claim arising out of or relating to this Agreement or any Service (other than disputes covered by Section 9 above) shall be settled by binding arbitration in accordance with the commercial arbitration rules of the American Arbitration Association. Any such controversy or claim shall be arbitrated on an individual basis, and shall not be consolidated in any arbitration with any claim or controversy of any other party. The arbitration shall be conducted in Seattle, Washington, and the judgment on the arbitration award may be entered into any court having jurisdiction thereof. Either you or krasovetz consulting may seek interim or preliminary relief from a court of competent jurisdiction in Seattle, Washington necessary to protect the rights or property of you or krasovetz consulting pending the completion of arbitration. Subject to the intellectual property rights of the users in any content provided by them in connection with the use of the Site and any Service, krasovetz consulting shall retain all right, title and interest in and to the Site and the Services, including all intellectual property rights therein and thereto. This Agreement constitutes the entire agreement between the parties with respect to the subject matter herein, and supersedes any and all prior agreements between krasovetz consulting and you. The failure to enforce any provision of this Agreement will not result in a waiver of any rights either party may have under this Agreement. If any provision of this Agreement is held to be unenforceable, it will be enforced to the maximum extent permissible and the remainder of this Agreement shall continue in full force and effect. Headings are for reference purposes only and in no way define, limit, construe or describe the scope or extent of such section. krasovetz consulting’ failure to act with respect to a breach by you or other users does not waive krasovetz consulting’ right to act with respect to subsequent or similar breaches. krasovetz consulting will not be liable for any delay or failure associated with the Site or Service beyond its control or otherwise, including natural disasters, acts of government or war, etc. This Agreement shall be governed by and construed in accordance with the laws of the State of California without regard to the conflicts of law provisions thereof. You further agree to the exercise of personal jurisdiction in the State of California in connection with any dispute or claim involving krasovetz consulting.